Comic Frontline: JDF Takes Us Behind The Scenes Of Shattered Grid! 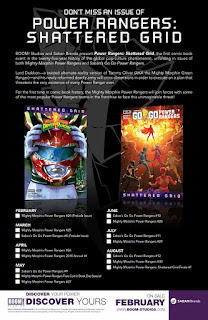 Last month before MIGHTY MORPHIN POWER RANGERS #25 hit shelves BOOM! Studios released a dark prelude to the comic book event of the year. 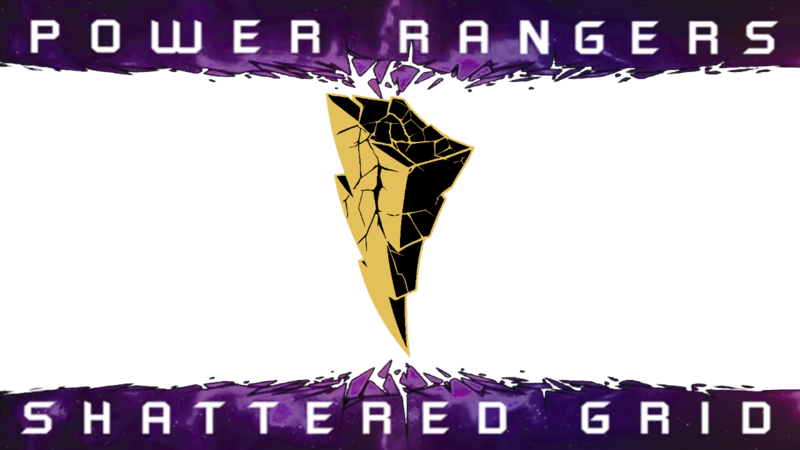 POWER RANGERS: SHATTERED which arrived March 28th online and at your local comic book retailers, and quickly sold out. 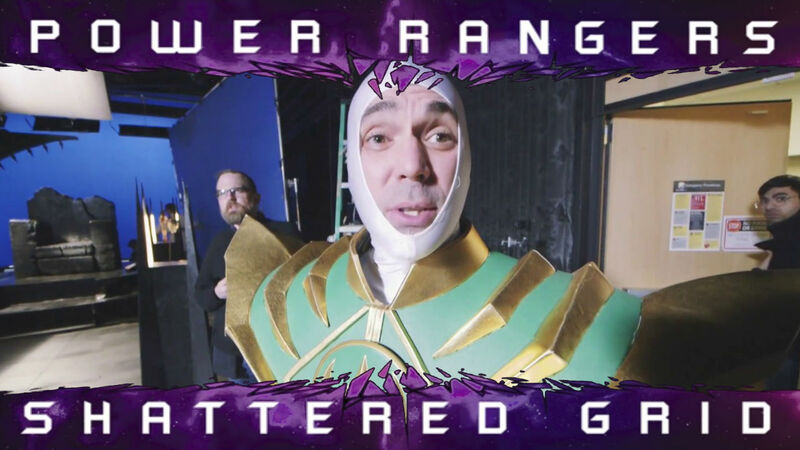 The trailer which stars Jason David Frank as Lord Drakkon. Written and directed by Kyle Higgins. Produced by Kyle Higgins, Jason David Frank, J.J. Vazquez, & Ramon Palermo. 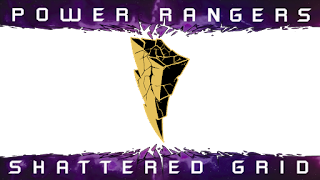 Now with the second part about to hit stands on April 18, 2018 in MIGHTY MORPHIN POWER RANGERS #26 JDF released a video showing behind the scenes of the trailer. 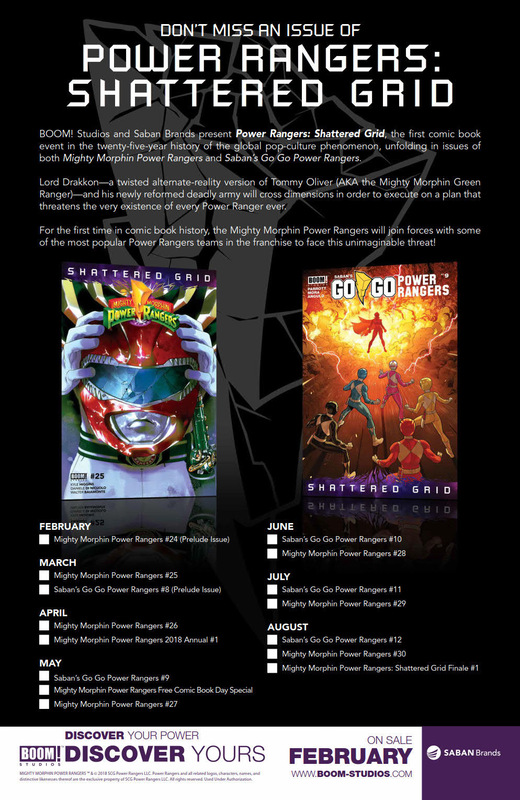 Copies of Mighty Morphin Power Rangers #26 will be available for sale in April 18, 2018 at local comic book shops or at the BOOM! Studios webstore. Digital copies can be purchased from content providers like comiXology, iBooks, Google Play, and the BOOM! Studios app.